Pages tagged "Threats to the Tongass"
This article is part of a series in which those who call Alaska home are speaking their minds about climate change. You can make your voice heard on these issues! Alaska’s own Senator Murkowski is the Chair of the Senate Energy and Natural Resources Committee. Tell her to act on climate change by signing our petition, sending a letter we’ve written, or contacting her yourself. Her office can be reached at 202-224-6665, by mail at 709 Hart Senate Building, Washington, D.C. 20510, or through this contact form. Sijo and fellow Fossil Free organizers lead a song at a Stanford rally. My name is Sijo Smith and I'm in my sophomore year at Stanford University. I've lived in Alaska my whole life, and ever since I can remember I've loved everything outdoors. I've been hiking since before I can remember- my dad tells me he used to bribe me up mountains with gummy bears, and my dad took me skiing as a baby on his back. I love listening to coyotes and owls outside my house, and seeing moose and bears wander through my yard. I didn't really know much about environmentalism, or even fossil fuels, all I knew was that everybody got really excited about the PFD every year, which had something to do with oil. As I learned more about Alaska's economy, I learned how much of it was based on oil and the pipeline. In school I was always taught about the benefits of oil for our economy, but I always wondered about the dangers for nature. Money wasn't something I cared about when I was little, so the nature argument had a lot more value for me. Throughout middle school and high school, I guess I'd say I was somewhat of a "closet environmentalist." It was really hard to be outspoken about my beliefs, given how little they were shared. (Once in my Spanish class, my teacher asked how many people believed in global warming- the only people to raise their hands were her, me, and the German foreign exchange student.) The "Taking Environmental Action" club was just a glorified name for recycling club- the administration didn't really allow anything more. When I was in 11th grade I wrote an essay based on a very nature-themed excerpt of The Way to Rainy Mountain and E.B. White's "Once More to the Lake." My teacher loved the essay, but when I expressed that I actually do believe the pro-nature stance I took in the essay, I got a lot of hippie and tree-hugger jokes. That sort of thing was fairly common. Additionally, two of my best friends have parents that work for either BP or ConocoPhillips, and I never wanted to make them feel unsafe by saying antagonistic things towards the fossil fuel industry. No longer is fighting climate change a "do it for the children" issue, it is my generation's issue. If we don't act, it will become everybody's issue within my lifetime. I fight for not only children, but the people in coastal cities in danger of flooding, those suffering from the spread of diseases, people who don't have the resources to relocate, or survive heatwaves. However, protecting the environment was always there in my mind. Even if I've never seen the caribou migration, the idea of people disturbing that to drill in ANWR is horrifying to me. I've been to Prudhoe Bay, and it is just not pretty. The idea that hundreds of thousands of acres of land are drilled and destroyed in the name of oil is something I find immensely disturbing. 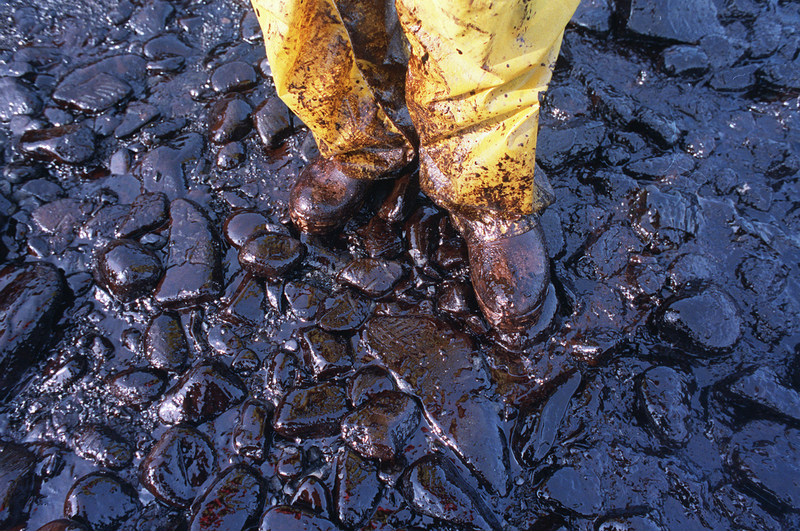 Thinking about the aftermath of the Exxon Valdez oil spill makes me want to cry. And I've seen first hand evidence of climate change- rising tree lines, the first snow fall coming a little later each year, warmer winters and summers, etc. I've worked with my neighbor, the only veterinary anatomic pathology service in Alaska, for the past few years, and in our study of wild animals we've seen the effects of rising temperatures. I always knew that environmentalism was something I cared about a lot. Even though I knew climate change was a really, really big issue and that we needed to do a lot to mitigate its effects, I didn't know how to do that. The fossil fuel industry was too big and I was only one person- how could I possibly make a difference? A lot of the time I just felt helpless and overwhelmed by all the obstacles. When I researched Stanford last May, trying to decide where to go to school, divestment from coal came up. I'd vaguely heard the term divestment before- mostly in terms of South Africa- but I didn't really know anything about it. I came to Stanford and learned about the divestment movement and I was surprised and started to get really excited. To me, divestment is a way I can actually make a difference. I came to Stanford because of all the resources it has and all the opportunities it would give me, and I see divestment as a way to leverage these resources. The movement makes me feel like I can make a difference in Stanford, and I know that Stanford can make a difference in the world. Here, finally, was something tangible that I really can do, and that will make a difference. Sharing the experience with wonderful people who have become some of my favorite at Stanford just makes me that much more invested in the movement. It's still hard sometimes, because it's hard for me to imagine Alaska without fossil fuels, and I know people who really rely on the industry to survive, and fighting directly against something is difficult for my usually non-confrontational self. However, I really believe it needs to be done. No longer is fighting climate change a "do it for the children" issue, it is my generation's issue. If we don't act, it will become everybody's issue within my lifetime. I fight for not only children, but the people in coastal cities in danger of flooding, those suffering from the spread of diseases, people who don't have the resources to relocate, or survive heatwaves. I fight for myself, because I want to be able to live my life- but I can't if I don't have a safe world. Fossil fuel companies are actively invested in climate change, which destroys not only the lives of millions, but the future of everyone living in this world. And not only does Fossil Free fight for divestment from fossil fuel companies, it brings an incredible mindset of environmental awareness. Through Fossil Free, we're able to expose future leaders to the importance of a sustainable future, and help people understand that they do care about the environment. That they must care about climate change, because of its ties to immigration, conflict, health... Any time I'm able to make someone understand how big of an issue this really is, that's a huge victory to me. Because ultimately, that's what this movement is about. Sharing with the world our belief that climate change is an issue, that it's something we need to fight, and that we care enough to really make a stance. I fight for divestment because it reflects my values and moral beliefs, and fighting for mother earth is the right thing to do. Right now, she needs all the help she can get. Over the course of the summer, I visited five different Wilderness Areas located in the Tongass National Forest. In these places, I had the pleasure of interacting with people who were using these public lands. The Tongass National Forest has the most Wilderness Areas of any National Forest, both in the number of areas and in acreage and draws people from across Alaska and the United States to visit these untrammeled areas. Unfortunately, a congressional movement led by Alaska’s own Senator, Lisa Murkowski, is threatening the existence of treasured public lands across the country. This summer, I was able to talk with people using their public lands and was reenergized, because the American public wants a different outcome for their public lands. In the Karta River Wilderness, I met a father and daughter who lived near Hollis on Prince of Wales. The daughter had recently returned from college and was excited to explore the bountiful recreation Southeast Alaska has to offer. To celebrate her arrival, she was fishing in the river, hoping to catch a salmon for dinner, while her father was picking blueberries to complete the dinner with a pie. The tandem also set crab and fishing pots in the bay in case the fish weren’t biting. To this family, it was clear that the Karta River Wilderness provided a short escape from town, where cars weren’t zooming by—instead fish were—and one could enjoy time with a loved one alongside a flowing river. While traveling through a narrow channel in the Maurelle Islands Wilderness, I came across a sailboat anchored in a wonderfully protected location. While talking to the couple on board the sailboat, I learned that they had been anchored there for the past two days as heavy winds were blowing and had a great time kayaking around in the protected waters around their anchorage. They also mentioned how peaceful their time anchored was, as they had not seen another person or boat during the past two days. The couple noted that earlier in their sailing adventure, they stayed at a Forest Service public use cabin outside of Petersburg with their grandchildren and had an absolute blast. In fact, they considered Forest Service cabins one of the best recreation deals around and were flabbergasted when told that there was currently only one permanent staff on all of Prince of Wales (the fourth largest island in the United States) that was supposed to maintain all of their Forest Service cabins. In Travels in Alaska, John Muir described Tracy Arm as a “wild unfinished Yosemite,” and the Tracy Arm-Fords Terror Wilderness continues to amaze thousands of visitors every year. Unfortunately, the glaciers in this Wilderness Area are quickly retreating. To educate visitors about the wonders of the area and also explain the challenges climate change presents to wilderness, Wilderness Rangers in Tracy Arm-Fords Terror Wilderness give educational talks aboard small cruise tours. On a trip where I was assisting these Wilderness Rangers, I was able to join in on one of these educational talks. We started the talk by asking, “Who is loving their trip so far?” and “Who has been awed by something during this trip?” After every hand in the room went up, including my own, we began to inquire why people booked their trip to Alaska. The answers that flooded in included that they, ”wanted to see what you can’t see anywhere else,” that they “wanted to see glaciers and wildlife” and that they “wanted to get away.” Everyone agreed that their expectations had been exceeded and were delighted by the numerous bears, eagles, whales, seals and mountain goats that they saw during their time in Southeast Alaska. Back in the Karta River Wilderness, I talked on a few different occasions to two different parties from the lower 48 that were having a grand time on their fishing trip. Both parties were staying at a Forest Service Cabin on the river, a vacation they plan every few years, and were catching plenty of fish to keep their enthusiasms high. One of the groups came from Arizona and the other was from Oregon, and although the combined number of times these people had visited Alaska was over two dozen, their excitement about catching fish in a wild salmon stream and hiking a trail that wasn’t crowded was contagious and youthful. Whether I was talking to a visitor from Boston on a small cruise boat in the Tracy Arm-Fords Terror Wilderness or to a community elder from Angoon in the Kootznoowoo Wilderness, a resounding theme was present in my conversations. People do not see these areas as places of restrictions, where you can’t use generators, mountain bikes or drill for oil. Instead, people see these Wilderness Areas as places of opportunity, where you can seek solitude, fish productive waters and find challenging hikes. Despite my inspiring interactions with visitors in Wilderness, the unfortunate reality of our political climate is uncomforting. Congress, led by Lisa Murkowski, has introduced amendments to try to open backcountry lands, including Wilderness Study Ares, in the lower 48 and Alaska to mining, drilling and logging. These politicians want state and local governments to seize federal public lands and open them up to private endeavors and other development. This pressure to seize federal public land is occurring, despite the fact a public opinion strategy poll found that 72% of Americans prefer public lands to be managed by federal agencies instead of state governments. Alaska is teeming with wondrous public land, public land that should remain open to the American people, not given to the oligarchy that is trying to run our country. We must speak up and let our voices be heard. Please write or email your elected officials and let them know that you support your federal public lands, or sign the #KeepItPublic petition here. In a world where we vote with our dollars, an investment in fossil fuels is a vote for the decimation of our planet. Investing in oil companies means supporting their efforts to find new places to drill, to extract more oil from the ground, and to ultimately endanger life on Earth. By holding these investments, individuals, universities, and governments remain complicit in these contributions to climate change. Ending these investments – known as divesting – can send a powerful message to both the companies and the public at large. Divestment is a powerful strategy to combat climate change, and it is quickly rising in popularity. By ditching their investments in the fossil fuel industry, individuals and institutions are sternly saying that their money will not be used to support practices that pollute our environment and put human lives at risk. If just one fifth of the world’s identified oil reserves are extracted and burnt, the globe will warm past the 2°C that scientists from around the world have agreed is the borderline of climate catastrophe. A shift away from a fossil-fueled economy is necessary in order to avoid climate disaster. Already, the greenhouse effect is changing weather patterns across the globe. Alaska is seeing record-hot winters, melting glacial ice, and fires across the interior. If just one fifth of the world’s identified oil reserves are extracted and burnt, the globe will warm past the 2°C that scientists from around the world have agreed is the borderline of climate catastrophe. Yet major corporations, with stunning negligence, continue to spend billions every year exploring for more oil, venturing into pristine and vulnerable territory like the seas of the Arctic. And our governments - the Alaskan and the federal - continue to heavily subsidize this industry, driving fossil fuel prices artificially low and making it hard for renewables to compete. If we don’t begin cutting ties to fossil fuels soon, humans and nature alike will suffer from the effects of carbon pollution. Cities will flood, crop production will falter, and ecosystems will be thrown into chaos. Oil companies are aware of these consequences, yet continue to spend their money not only on drilling and exploration, but also on lobbying to prevent the implementation of sustainable solutions. These companies stand firm in their commitment to profit from the degradation of the world we live in. Divestment is a way to draw the line in the sand and stand on the side that aims to address climate change head-on. Admittedly, the economic impact of divestment is small. Selling some stock in a multibillion dollar company won’t exactly burn a hole in any pockets. The real power of divestment lies in shifting the conversations around climate change. It makes a public, political message - that an institution and its constituents refuse to be complicit in the practices of the fossil fuel industry. Major divestments make headlines, and these headlines help to sway public opinion. As more and more major universities pull their money out of the fossil fuel industry, more pressure will be placed on politicians to address climate change. The people know that we need to act now and stand up to oil giants to save our planet. The divestment movement is a way to leverage political power in getting our governments to respond. Investment, too, can leverage power towards building a sustainable world. Just as political statements can be made with divestment, they can also be made with reinvestment. As institutions withdraw their money from the fossil fuel industry, they should be putting it into greener markets. An investment in renewable energy or sustainable technology sends the message that these industries deserve support – that we all should be investing in a future with a livable climate. Such investments can also make a sizeable impact in helping these companies get off the ground, as sustainable technology often comes from smaller, newer companies that need investments to implement their solutions. Divestment is a way to tell fossil fuel companies that their practices are unacceptable, that the world’s resources need to go not towards finding more oil, but to developing clean alternatives. It is not the be-all, end-all solution. Divesting from oil companies will not solve climate change, but it is a step in the right direction, and the downright moral thing to do. Climate change is already taking its toll on the planet and on human lives. Extreme ocean acidification in the Bering Strait threatens the ecosystems of the surrounding seas, and in turn the livelihood of the people of Alaska. Typhoon Haiyan struck the Philippines with increased vigor due to the changing climate and took many lives because of it. Massive droughts linked to the warming climate lead to hundreds of thousands of deaths in the developing world each year. As sea levels rise, we are losing whole communities and the histories they have built with the land. It is immoral to invest in the companies that perpetuate this kind of loss. By divesting, we end our financial backing of environmental destruction and declare our support for a cleaner, brighter tomorrow. Over a month ago, I met four vibrant teenagers, between the age 15 and 16, who were eager to learn about wilderness conservation and preservation by immersing themselves within the Tongass National Forest. This Youth Conservation Corps (YCC) crew hailed from as far as Mobile, Alabama and as near as Tenakee Springs, Alaska. After a whirlwind of activities that had the crew building a community greenhouse in Angoon, working trail crew on the Cross Admiralty Island Canoe Route and removing an invasive plant in the Kootznoowoo Wilderness, I am confident that four new defenders of wilderness were born. Watching four teenagers develop into wilderness stewards was truly a delightful experience to witness. These four individuals have now returned to their respective homes, and I know that conversations with family and friends have been sparked about the need for conservation and preservation initiatives throughout the United States. Let’s hear for ourselves what these new wilderness defenders have to say about their experience. What did you like most about the YCC experience? Do you have a best memory? What I enjoyed most about the YCC experience was getting to meet new people and being able to help the environment out. My best memory was … I don’t know. There are a lot! You’ve been in Southeast Alaska for a month now. What are your impressions of it now? It is really pretty and really different from what I’m used too. There are so many trees! It is also really wild and has a lot to offer. What is life in the field really like? What are the best and most challenging parts of living at a wilderness base camp? Life in the field is pretty great. When you are in the field, you focus on one task without the distractions. There is solitude to think about what your task is without having the distraction of phones. Also, the dinners aren’t bad either! I learned that there is a lot going on that you can be blissfully ignorant towards. You could be walking down the trail not knowing the work that goes into it or walking down the beach without knowing that there is an invasive species taking over an area. This experience showed me that there is a lot more going on in an area than what I know. I liked getting to be in the Togass, because you can’t get this experience in Texas. There's practically no public lands or forest stewardship in Texas. My best memory is catching my first pink salmon and cooking it in the field! I also enjoyed foraging for berries and tea and hiking. Beautiful, breathtakingly beautiful. The wilderness is always harsh, but loving at the same time. It is challenge to hike gear back and forth between the kitchen and camp. Overall, I loved soaking up the sun and enjoying life. I learned more about how to protect and conserve wilderness areas. Also that many Forest Service employees got their start in YCC programs, and that I have a career to look forward to and a goal to strive for. Working together with strangers as we developed a better sense of wilderness and the problems that are occurring to wilderness right now. The whole experience was great. I don’t think I have a best memory. Life in camp is like a puzzle. Some things are really easy to find and put together, but sometimes the piece just doesn’t fit. Arguing happens, but it usually comes together to make one great picture. What ended up being the biggest challenge during this time? To me, the biggest challenge was picking up beach trash. It seemed like a never-ending task and that people will continue to destroy marine habitat. I learned that even if you have complete different opinions, you can be working to fight for the same thing. For example, [John] Muir and [Gifford] Pinchot. I like being in Alaska. I love how beautiful it is here. I don’t want to go home. Meeting everyone was a highlight of the experience. It is beautiful. From what everyone keeps saying, I imagine the weather has been remarkably nice. We were told it was going to be really rainy, but it really hasn’t been too rainy. Life in the field requires a lot of hiking, and hiking is really hard. But it is also really rewarding. I learned how to hike. I also learned that boats and planes are fun. Although federally designated Wilderness Areas may have the highest protection of any public resource, Wilderness Areas are by no means void of threats that degrade their wilderness resource. The YCC crew worked to mitigate some of these threats, as we collected an abundance of beach trash and pulled thousands of invasive weeds. We also spent time reflecting on the best strategies and techniques to preserve wild places. As a group, the YCC decided that the best way to protect these places is to bring people to these areas, because spending time in the grandeur of wilderness allows the land to most eloquently speak for itself and inspire its preservation. Since the founding of the Sitka Conservation Society (SCS), SCS has also believed in this technique and remains committed to connecting people to Wilderness Areas throughout the Tongass. Working with the Youth Conservation Corps and the U.S. Forest Service during this time has been a pleasure, and we are thrilled to have four lively youth added to the network of millions of people working to protect our Wilderness Areas. For more information about my time with the Youth Conservation Corps or about wilderness stewardship in the Tongass, please contact me at mike@sitkawild.org. Alaska is already feeling the heat of climate change. Temperatures are rising here at twice the rate of the rest of the country. Hotter summers have kindled more and more wildfires burning throughout the state, melting permafrost and further accelerating warming. These rising temperatures are also melting glaciers, contributing to sea level rise that imperils coastal communities. The Alaskan way of life is threatened by these changes - record-low snow falls saw the 2015 Iditarod rerouted twice, and native villages have had to change their fishing practices in response to ice break up. As ocean acidification gets worse, fisheries across the state are sure to bear the brunt of the burden. Yet the state government continues to share a bed, which they make nice and comfy, with the oil corporations driving this environmental degradation. Alaska has a dangerous dependency on oil money - over 90% of the state’s income comes from the oil and gas industry. To preserve the natural beauty and resources of this great state, Alaska will have to address this dependency. First, it must take on the power that big oil wields in its political system. The politicians who rode comfortably in VECO’s pockets used their political power to give tax breaks to the oil industry at large. The pinnacle of oil corruption in Alaskan politics came in the early 2000s, when an FBI investigation brought ‘The Corrupt Bastards Club’ into the public’s attention. This club was made up of Alaskan lawmakers who routinely accepted bribes from the VECO Corporation, an oilfield services company that was acting as a sort of lobby on behalf of the oil industry. VECO executives were caught on camera shelling out bills in exchange for votes. The politicians who rode comfortably in VECO’s pockets used their political power to give tax breaks to the oil industry at large. Of the many involved, twelve were indicted on various charges of corruption, bribery, and failure to disclose gifts. Some of these saw prison time while others wiggled their way out of reprimand. Two of those who were alleged to be involved in the Corrupt Bastards Club, but were never indicted, still serve in the Alaska legislature today. Those two are Mike Hawker and Mike Chenault, who both continue to cater to the desires of the oil industry. Hold on - they made each other hats? Can we think for a moment about how ridiculous this is? 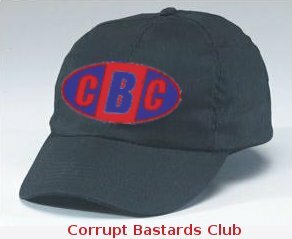 These corrupt politicians were so proud of their shady dealings that they had to get their own hip headwear printed up. Couldn't they at least be ashamed of selling out their constituents for oil money? These two are not the only ones serving big oil in Alaskan politics. Two state Senators are employed by ConocoPhillips, one of the multinational oil giants drilling on the North Slope. Peter Micciche, who chairs the committee dealing with the Trans-Alaska Pipeline System, gets paid six figures by Conoco. Kevin Meyer is also on the oil giant’s payroll, and chairs the Senate Finance Committee. Both of these men had a hand in the hearings around senate bill 21, which offered tax cuts to oil companies, and both figured that their employer could use the tax relief. These tax breaks came despite the oodles of profit Conoco was already making from Alaskan resources. To their credit, when the vote came to the floor, both tried to recuse themselves for conflicts of interest, but objections by other senators who supported the bill forced them into voting (In the Alaska Legislature, if any one senator objects to an attempt to recuse oneself from voting, the senator must vote on the bill at hand). The pair cast deciding votes in the 11-9 outcome, sending the bill on through the House, to eventually end up on the desk of Governor Parnell, a former Conoco lobbyist. Parnell, too, decided that big oil could use a break. Such tax breaks and credits, rather than creating a flourishing economy, have brought Alaska to the point where it is paying oil companies more than it is taxing them. Projections for the current fiscal year guess that Alaska will shell out hundreds of millions more in tax credits to big oil than it will receive from tax revenue. If that’s not a broken system, I don’t know what is. This state needs to keep in mind that it is every bit as rich in renewable resources as it is in petroleum. Alaska can lead the country towards sustainability. This will require a government that puts the interests of the people well ahead of those of the oil companies. Already, Alaska is taking important steps in this direction, aiming to be run on 50% renewable energy by 2025 and putting programs in place that facilitate this transition. Equally important is the public taking a stand to say it refuses to have its political institutions corrupted by the oil industry. The costs of fossil fuel dependence are many. Alaska is facing the financial woes of an oil-based economy, and just about every government that deals in oil also has to deal with the corruption that comes along with it. The heaviest price, however, is paid directly by our planet and the people who inhabit it. By burning fossil fuels, we taint our water and air, and warm our planet. The effects of climate change are proving deadly to species across the globe - including humans. The world is in for full-on climate catastrophe if we do not address our fossil fuel usage, but this does not mean these are the problems of tomorrow. The world is already feeling the heat of climate change. Here’s a shortlist of some of the environmental problems the fossil fuel industry is responsible for. 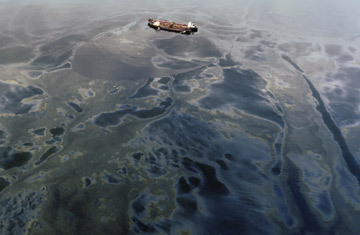 It’s well known that the oil industry has a history of polluting water. The Exxon Valdez oil spill remains in the collective memory of Alaskans - largely because it continues to affect the ecosystems around Prince William Sound. But such massive oil spills are just the tip of the iceberg. Smaller pipeline leaks are a far too common occurrence, hundreds happening in America alone each year. The extraction of fossil fuels regularly involves dumping chemicals into water sources - including those where people get their drinking water. Oil companies who skirted environmental regulations poisoned the waters of the Amazon river, increasing cancer risk for those who live nearby. America’s watersheds have also been contaminated. Hydraulic fracturing for natural gas involves the use of chemicals known to be toxic to humans and animals. It is near impossible, with current technology, to ensure that these toxins stay out of drinking water. Whole communities have had their tap water compromised by gas extraction, and the ecosystems around our rivers have been damaged as well. The extraction and combustion of fossil fuels contaminates not just the water we drink, but also the air we breath. The fossil fuel industry pumps a wide assortment of chemicals into the atmosphere, with various consequences to our health. Benzene has been known to cause cancer, nitrogen oxides have been linked to respiratory problems, and sulfur dioxide has recently been proven to cause heart disease. Thousands of deaths occur every year due to inhalation of the fine particles that fossil fuel-fired power plants produce. Additionally, these pollutants lead to the fall of acid rain, which damages soil and surface waters. Another pollutant that we put into the air by burning fossil fuels is carbon dioxide, which functions as a greenhouse gas, trapping heat in the atmosphere and warming the planet. Global temperatures have risen close to 1 degree Celsius since the industrial revolution. Temperatures in Alaska have been rising at twice the rate as the rest of the country. Just one symptom of this problem has been thawing permafrost. As the layer of frozen soil gets thinner, trees tilt in ‘drunken forests’. Lack of snowfall has spelled bad news for Yellow Cedars, which are dying off en masse where there is no longer a layer of snow to protect their roots from freezing. The ecosystems that relied on previously healthy forests are being thrown into turmoil as well. Rising temperatures also means melting ice, which in turn means rising sea levels. Alaska’s glaciers have been a major player in pouring water into the oceans - losing ice roughly at the rate of 75 billion tons a year. Seas have risen somewhere between 4 and 8 inches in the last hundred years, and it is unclear how much they will continue to rise. Already, island coastlines are beginning to sink below the waterline - some are in danger of disappearing altogether. In another hundred years, cities along America’s east coast could go under as well. Climate change is already impacting weather across the globe. As more water enters the seas and atmosphere, rains become heavier and floods more probable. Many of the pacific islands threatened by rising sea levels have also been faced with floods recently. Storms, too, have been getting more vicious. Typhoon Haiyan intensified, due to changes in the climate, to become the most powerful storm to ever hit land, taking thousands of lives with it. Alaskans haven’t gotten off without their share of extreme weather events. Last year, a massive storm - the largest the region has ever recorded - brought 100 mile an hour winds to the Shemya Islands. This February, thundersnow was spotted in Nome - a bizarre indicator for an area that rarely sees any sort of electrical storm. Changing weather patterns make drier areas drier, cause snow to melt earlier, and may also be sparking more lightning strikes. All of this has bred the perfect equation for an increase in wildfires. Nowhere has the burn been felt worse than in Alaska. It seems we’re on pace to set records in the area of land burned this year. Particularly worrying about these blazes - besides the immediate threats they pose to human and animal habitats alike - is their potential to accelerate global warming. When wildfires melt away at the permafrost layer, they release more carbon into the atmosphere - playing into a vicious cycle that will contribute to more fires in the future. Carbon dioxide is not only troubling in the atmosphere. As we produce more of this gas, more is absorbed into the oceans, increasing the acidity of the water. Ocean acidification obstructs calcification, so shellfish have a harder time forming their shells. Coral often become bleached in acidified waters, and algae tend to die off, throwing wrenches into ocean food chains. The fisheries of the Gulf of Alaska are especially threatened by this changing ocean chemistry. When organisms at the bottom of the food chain struggle to survive, the fish that people sustain their livelihoods from suffer as well. We’ve all by now probably heard about the plight of the polar bears, whose habitats are literally floating out to sea as arctic ice melts. But these bears are not the only species feeling the heat. Human-induced changes to ecosystems, on land and in water, are playing a role in what some scientists are calling the Earth’s sixth mass extinction. If climate change continues to speed up, we could soon be losing species as fast as they were going when the dinosaurs died off. Yet another species facing the adverse effects of climate change is Homo Sapiens. The National Institute of Health lists a whole slew of health problems that climate change can induce - from asthma, to cancer, to neurological conditions. Already, hundreds of thousands of people die each year, many due to overheating or other weather events. The developing world has suffered the worst, and is expected to suffer more as food production is threatened by droughts and floods and clean water becomes more scarce. Nations whose people have the most to lose to climate change also have fewer resources to alleviate the loss - while those countries who are leading contributors to the problem have money set aside to deal with the fallout. Individual lives aren’t the only thing our species stands to lose to climate change - whole cultures are threatened as well. The ways of life of indigenous groups are often tightly tied to the land. The Nukak-Maku people in Colombia need glacial runoff water to subsist in their homelands. As glaciers retreat, fishing and agriculture become harder for these people, forcing some to abandon their traditions for life in the city. In Barrow, Alaska, melting ice has made it more difficult for the Native Inupiats to subsist off of bowhead whales as their ancestors have done for ages. Another Native Alaskan village, Newtok, is being forced to completely relocate, due to erosion accelerated by the melting permafrost. The people of the Carteret Islands, too, have had to abandon their home due to rising sea levels, becoming refugees to the climate crisis. Clean water, breathable air, biodiversity, human culture - these things are invaluable. If we want them to be around much longer, we cannot continue to depend on fossil fuels. Despite the damages that have already been done, it is not too late to act to address climate change. By transitioning to renewable energy sources, we can halt the harm we do to our planet by burning fossil fuels. If we put in the work to take care of the Earth, we will build a future with a liveable, clean climate. The island of Admiralty remains to this day a place preserved almost entirely as Wilderness. Home to the highest density of brown bears in North America, a population of a few hundred residents, and prolific stands of old-growth that never saw the saw, this country, by anyone’s definition, the federal government’s included, is Wild. But the briefest of glances at Admiralty’s history makes immediately evident that this future was never assured; the preserved state of this landscape never necessarily its inevitable fate. To quite the contrary, nature on Admiralty has known many threats, its trees for decades the particular envy of loggers throughout Southeast. But despite the long history of people seeking to degrade Admiralty, there exists an equally long history and tradition of people working to defend it. This past week, I had the privilege of meeting the four individuals adding yet another chapter to this story of wilderness stewardship on Admiralty Island. The Youth Conservation Corps (YCC) project taking place on Admiralty is engaging four youth from around the country in community and conservation work. Sponsored by the Forest Service and supported by the Sitka Conservation Society, this corps has been tasked with initiatives that address the health of Admiralty’s Kootznoowoo wilderness, its community of Angoon, and, hopefully, each YCC’s commitment to conservation, by bringing them into contact and communion with the land. Such connection, SCS has always believed, lies at the essence of environmental ethic and action. Or in other words, the land itself is oftentimes its own most effective advocate, the best thing we can do being simply to bring people out to it. By employing youth to work with our public lands, the YCC program is thus very much aligned with the model of conservation advocacy that SCS has always practiced. And by helping the Forest Service host this corps branch, we have been able to foster these person-place connections with an incredibly important segment of society: the rising generation of potential environmental stewards. When I arrived in Angoon, the YCCs had just completed construction of a community greenhouse, and were soon to set off for three weeks in the Kootznoowoo Wilderness. There they would be participating in shelter and trail maintenance, non-native plant control, and general restoration and monitoring – projects to which the Forest Service had put the Civilian Conservation Corps over eighty years ago, as part of the New Deal. Sitting at the doorstep of Kootznoowoo – having just witnessed a whale pass by, listening to the roaring of a sea lion, and sated by the salmonberries we had picked on our hike – I had the chance to talk to the YCCs about their thoughts on the Wilderness, this tradition of stewardship, and the Southeast Alaskan environment in which they were immersed. How much did you know about Wilderness before this program? Jaxon Collins: Not a lot. Breeze Anderson: I didn’t know anything. Elizabeth Crawford: Not really anything. Travis Maranto: Not very much. And what do you know and think now? Jaxon: I know that there are people who have been trying hard their whole lives to keep wilderness intact, and I think other people should try and respect that. Breeze: I think that to work with nature, in particular these Wilderness areas, is a necessity, and that it needs to be done before we ruin it. Elizabeth: This landscape already feels as if its home to me. Travis: I’ve always had a love and respect for nature, but I never truly understood Wilderness as being so free and untrammeled. Just being in this space you immediately sense something special about it. Why are you excited about the wilderness stewardship work ahead? Jaxon: It’s just amazing to be one of the first youth groups out here in a while doing this. Maybe it can inspire others who have an interest to take action too. Breeze: This work gives me hope. Hope that these efforts to conserve can keep going, since they’ve already been going on for so long. Elizabeth: I just feel very fortunate to have been picked to come here. You need trees to breathe and well, to really do everything. And now here I am standing in their beauty and I get to help protect them. That makes me excited. Travis: I have such a deep respect and love for wild places, and I don’t think there’s enough of them. In the modern age, humans have been destroying them rapidly. When you think about the millions of years Earth has been here, we’ve only been here a very short period of time, and we’ve already done a great deal to screw it up. I’m here because I want to do a something to fix that, and convince others to do so too. If there’s one thing you would say to people to convince people that these places are worthy of protection, what would it be? Jaxon: When you’re out here, you get to forget about all of the worries of life and just be yourself. It’s incredibly freeing. Breeze: There’s a saying I like which goes: “we think we own the land, when really the land has no owner.” Being out here, in this stunning landscape, I get reminded of that fact. I mean, this place has been here for ages, and to help it stay the way it is rather than destroying it, that’s a powerful thing to be a part of. Elizabeth: We always say in my family that we only have one Earth. In society we’re always searching for the newer, cooler thing. But why ruin what we already have, what we’ve relied on for all our lives? We need to appreciate and protect our Earth, because it gives us so much we don’t even realize. Travis: Nature gives so much to us – wood, salmon, sustenance, fresh air – and we’ve been taking these things from nature for thousands of years in a manner that didn’t also destroy it. But now in modern times we’ve just been trashing the ecosystem. And I can participate in that destruction, or I can jump in and help. Hailing from as nearby as Tenakee Springs, Alaska or as faraway as Mobile, Alabama, these four YCC members represent a diversity of background and experience. But it was clear from our conversations that a commonality of spirit exists amongst them when it comes to caring for and conserving the land. Which comes as good news, because as Matthew Fred Sr., the Tlingit elder of Angoon, bluntly put it, when it comes to conservation, “there are no guarantees. You have to fight for what you want.” Just as we owe Kootznoowoo’s current state to our predecessors who fought to preserve it, generations to come will inherit the landscape that our actions in the present have left to them. And although wilderness exists in the minds of many an inviolable place, the truth is that these landscapes are not immune to assault. Just this year, an airport has been proposed within the boundaries of Kootznoowoo, and as of a few days ago, Admiralty’s Green's Creek Mine expansion project broke ground, threatening to leach more contaminants into the nearby Wilderness environment as waste product. All of which just serves as a reminder that wilderness work is the responsibility of each successive generation, or at least each generation that continues to find some value, apart from the economic, in these areas. It is unfortunate, but a reality, that lands with many threats require many defenders. Whether you’re examining the specific story of Admiralty, the history of Alaska, or America’s past more broadly, one fact will remain true throughout: the tree one person alone could fell it has taken many people to defend. On the surface, I admit, this seems a depressing reality. But I wonder if, in some ways, this is actually the condition from which conservation also derives its strength, as it makes conservation, in my mind at least, inherently an act of community – something that requires conversation with the past, cooperative action in the present, and a commitment to fostering stewardship in the caretakers of the future. What I saw during my visit to Angoon was the YCC program doing just that: educating youth about the history of our public lands; engaging them in present preservation efforts; and empowering them to be future conservationists. And thus, while the future of public lands should not be taken for granted, never assumed as assured, of one thing it seems we can be certain: if the YCC is any indication, there remain those out there willing and eager to take on the cause of continued stewardship and service. Be sure to stay updated on the YCC throughout the remainder of the month by way of the SCS Facebook page. Have specific questions about the YCC? Feel free to email to their crew leader, SCS’s own Mike Belitz (mike@sitkawild.org). And for more on wilderness stewardship at SCS, keep checking our website, or call (907-747-7509) or email (edie@sitkawild.org) to get involved. We’d love to hear from you! Alaska is already feeling the heat of climate change - in more ways than one. 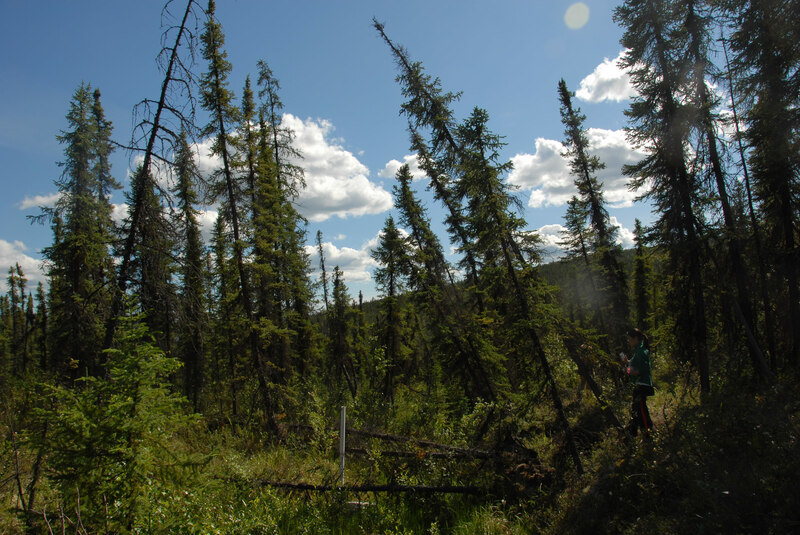 Rapidly rising temperatures have been melting permafrost and killing trees. Wildfires are burning away huge swaths of forest. Ocean acidification threatens the way of life of those of us who depend on fisheries. Whole communities have had to relocate due to rising sea levels. Attorney and global warming activist Deborah Williams has alerted Sitkans that Alaska is more vulnerable to the catastrophic impacts of global warming than any other place in the country. As carbon dioxide levels continue to rise, Alaska's ecosystems degrade and temperatures rise more quickly than those farther south. 1) Senator Lisa Murkowski - Alaska's own Senator Lisa Murkowski serves as the chairman of the Energy and Natural Resources committee. That makes her one of the most powerful people in the world when it comes to implementing climate change solutions. Senator Murkowski needs to put Alaskans first - that means fighting climate change. Add your voice! Call or write to Senator Murkowski and sign our petition today! 2) Forest Service Management - Southeast Alaskans are in the enviable position of living in one of the world’s greatest carbon sinks. Scientists have discovered that the old-growth trees in the Tongass National Forest sequester amazing amounts of carbon in the soil. In light of this recent evidence, it is imperative that the Forest Service reconsider its Tongass management. Their transition away from old-growth logging means more than habitat preservation - it is a vital step to reduce the speed of climate change. Climate change is hitting Alaska hard, threatening the very place so many call home. This series features a range of voices from across the state speaking up about climate change and their experiences working to stop it. Most of these authors aren't directly affiliated with SCS, but we are honored that they've taken the time to write for our blog. 1. Tristan Glowa, A College Climate Organizer from Fairbanks - Tristan here shares his story of how he became involved in the fossil fuel divestment movement and why he knows it is important to work for a safe climate. 2. Kengo Nagaoka, A Divestment Activist from Fairbanks - Kengo speaks to the power and necessity of the divestment movement, and to the troubles of Alaska's oil dependency. 3. Kelsey Skaggs, Climate Justice Activist from Juneau - In this interview, Kelsey talks about how she took up the cause of climate justice, and the litigation she is currently involved with that aims at getting Harvard to divest from fossil fuels. 4. Nathan Baring, Youth Environmental Activist from Fairbanks - Nathan shares why he cares about fighting climate change, and some of his thoughts on how people can make personal changes to contribute less to the problem. 5. Sijo Smith, a Climate Activist from Eagle River - Sijo explains how growing up in Alaska has driven her to fight for a safe climate. Climate change is taking its toll on ecosystems and the homes of people across the world. The people and nature of Alaska have been especially affected, seeing our lands go up in smoke or sink into the ocean. Our economy and government have been hurt by the use of fossil fuels as well. Oil dependence has introduced corruption and fiscal uncertainty to the state of Alaska. To protect the integrity of our state, our land, and our communities, we are going to need to find solutions that create a more sustainable society. This series addresses issues around climate change and other problems that come with oil, and discusses some ways out of the troubles of fossil fuel dependence. 1. What the World Pays for Oil - A shortlist of the many environmental effects that fossil fuel use has in Alaska and around the world. 2. Oiling the Chains of Government: How the Fossil Fuel Industry Corrupts the Political Process - This post explores the lobbying, climate denial, and corruption that big oil uses to leverage political power across the nation and the world. 3. Oil Spills into Alaskan Politics - This article looks at some cases of big oil exerting its political influence within the state of Alaska, both legally and illegally. 4. Divestment is a Way to Stand Up to Big Oil - An explanation of fossil fuel divestment, and an argument for its usefulness in fighting climate change. 6. Towards a Climate Just Future - This piece looks at some inspiring cases of resistance to the fossil fuel industry from around the world, and discusses why it is necessary for movement fighting against climate change to work towards climate justice. 7. What Sitkans learn from the Paris Climate Agreement? A lot. - This summary of the groundbreaking Paris Climate Agreement looks into what it means for Sitka and the state of Alaska. Most of the oldest and largest trees on the Tongass were cut in the decades following World War II. The patches of old growth that do remain may never be safe from danger. The Sitka Conservation Society strives to protect the remaining old growth forest and to advocate for wise and sustainable development of alternative Tongass resources such as salmon, second-growth timber, and tourism. Timber sales within the National Forest frequently result in substantial road building and habitat loss. Outside the National Forest and under the ownership of Native Corporations, or other private industrial interests, logging and habitat degradation can be pursued even more readily. Though the old growth timber in the Tongass is in danger, SCS is hopeful that by working with both the US Forest Service and private corporations, we can continue to spur our Southeast economies with Tongass resources without repeating the mistakes of the past. SCS is keeping a close watch on how climate change affects the Tongass through annual summer field work. This research includes monitoring changes in ice packs, glaciers, and plant and animal populations. While it's hard to watch the negative impacts on the Tongass from global warming, having good data on those impacts is crucial for our climate change advocacy work that could ultimately prevent future harm. A healthy and intact forest is the best defense against non-native species; however, human impacts through climate change, logging, and the introduction of exotic organisms weakens a forest’s natural defenses. In order to prevent invasive organisms from spreading and threatening native species, SCS helps monitor for invasives and assists in eradication and removal projects through the Community Wilderness Stewardship Project. Do you want to do your part to help protect the Tongass and its communities? Check out the most recent Action Alerts for immediate steps you can take. From signing petitions to volunteering some hours in our office, anything you can do is crucial to our mission and much appreciated! Protecting the natural environment of the Tongass while promoting the development of sustainable communities is only possible with your help and support.